“We showed that when the vapors from an e-cigarette are burned, it causes cells to release inflammatory proteins, which in turn aggravate stress within cells, resulting in damage that could lead to various oral diseases.” said Irfan Rahman, Ph.D.
Another study recently published in the Journal of Cellular Physiology builds on the findings from Rahman and colleagues, after finding a high rate of mouth cell death with exposure to e-cigarette vapor over just a few days. To reach their findings, Dr. Mahmoud Rouabhia, of the Faculty of Dental Medicine at Université Laval in Canada, and colleagues placed epithelial cells from the mouth in a chamber that contained a liquid similar to saliva. To simulate vaping, the researchers pumped e-cigarette vapor into the chamber at a rate of two 5-second puffs every 60 seconds for 15 minutes a day. This was performed over 1, 2, or 3 days. On analyzing the vapor-exposed epithelial cells under a microscope, the researchers identified a significant increase in the rate of cell damage and death. The rate of damage or death in unexposed cells is around 2 percent, the researchers note. However, they found that with exposure to e-cigarette vapor, the number of dead or dying cells rose to 18 percent, 40 percent, and 53 percent over 1, 2, and 3 days, respectively. While the cumulative effects of the cell damage caused by e-cigarette are unclear, the researchers believe their findings are a cause for concern. NEWPORT BEACH, Calif., Sept. 28, 2015 — The word “cancer” will incite fear in anyone. When that word comes at the end of a sentence that began with your name, the impact can be life changing. “I had a great job, a beautiful house and a happy family life,” recalls oral cancer survivor and Oral Cancer Foundation (OCF) Director of Patient Support Services, Christine Brader. “All that changed once I got sick.” Those affected by oral cancer, like Christine, are saddled not only with the physical challenges of treating and surviving the disease, but they must also live with the emotional uncertainty and anxiety that accompanies a diagnosis. OCF’s Patient Support Forum (oralcancersupport.org) was created specifically to provide patients with the information, guidance, and support they need to face a cancer diagnosis. Now in its 15th year, it has helped tens of thousands navigate a difficult path. It was nearly 16 years ago that oral cancer survivor and OCF founder Brian Hill began his search for answers. “When I was first diagnosed,” Hill recalls, “I was scrambling for the right information. Once inside the treatment world I was faced with decisions about which treatment path was right for me, uncertainties of what would lay ahead, the arrival of complications unexpected, pain, and ultimately a sense of the loss of control and a resulting fear.” While hospital support groups and some online chat rooms existed at the time, they fell short of providing the insights, guidance and accessibility necessary to have real benefit to a newly diagnosed cancer patient undergoing treatment. “My problems were complex and changing daily. Every day it seemed that something new was occurring that complicated matters, and I needed to talk with someone who could help me digest everything from the new medical terminology, to dealing with side effects of what I was undergoing.” It was through building relationships with other survivors and exchanging stories and information that Hill was able regain hope and envision life after cancer. In 2001, seeing a need for patients to connect with one another, Hill worked to develop an interactive online forum where patients and survivors could share their knowledge and tell their stories. Christine Brader joined the forum after her first oral cancer diagnosis in 2007. “When I was diagnosed I didn’t know which way to turn, and by finding others who had gone through it, I gained significant peace of mind,” she recalls. “After my third cancer recurrence, I lost 65 pounds, was hospitalized twice for dehydration and malnutrition and was ready to quit. The doctors don’t always prepare patients for the realities of the difficult treatments.” It was the advice from other survivors, words of encouragement and support from the OCF forum community that convinced Christine to continue her treatments and gave her hope. “There’s a whole world of people who have gotten through it and survived, they are living in a world after cancer and are thriving” she says. “Given the extensive disfiguring surgeries, and compromises that I would be forced to live with, I was uncertain if there was even a place for me in the world after fighting to survive. Single, unable to work in my previous vocation, I could not wrap my mind around how I would fit back into a world where everything from esthetics, to the ability to speak clearly carry so much weight. But through this online vehicle, I built friendships, and through one person in particular I was repeatedly told that there can be a rich vibrant life after this terrible cancer, which can leave its visible damage even after survival, no matter how different I was after it all. The transition was not easy, but they were right. Life after my battle is rich in relationships, and meaningful work.” Now, as the patient support administrator for OCF, Christine offers her experience-based insights and emotional support to others just beginning their own battles. It is this kind of monitoring and oversight that earned OCF’s websites, oralcancer.org and oralcancersupport.org, Health on the Net’s HONcode certification. The HONcode is a designation reserved for online publishers of trustworthy and reliable medical and health information who have volunteered to adhere to hundreds of strict guidelines and Health on the Net’s code of ethics. This certification is an oversight process that is ongoing, to ensure the consumer that information presented is trustworthy and scientifically accurate; and that protocols for proper informed interaction are in place. With the understanding that poor information can lead to poor choices, OCF has gone to great lengths to protect its members from misleading information. Today, the Oral Cancer Foundation is working hard to make patients and their families aware that support and answers are available online, for free, 24 hours a day by visiting the web based forum. In keeping with OCF’s missions to reduce suffering and save lives through prevention, education, research, advocacy, and patient support, the forum has been designed to fulfill the need for reliable medical information and emotional support. With over 10,000 active members, thousands more who visit the site, read the threads of discussion without becoming members or posting themselves, and over a quarter million archived threads of information, the forum has grown into the largest and most well curated databases of oral cancer information and emotional support on the internet. Members now span across the globe and dozens of countries. Even oncology researchers have looked to this online community to develop answers and insights into understanding the patient experience, and improving the ways in which they interact with patients, and anticipate their needs both physical and emotional. When discussing the relationships he’s made on the forum, Ed Brown, now a 12-year oral cancer survivor says, “Finding each other is the greatest thing that has ever happened to us. When you feel like you’re some kind of freak and struggling alone with your issues, it’s the best feeling to find out there is someone else out there who has dealt with the same thing, someone who knows what it’s like, someone who understands the “work-arounds” for some of the complications of treatments that we all deal with. Thanks to the forum I now know 10,000 survivors who because of our shared experiences are a resource I can turn to.” Few people can comprehend the pain and hardship of undergoing treatment for a life threatening illness, fewer are aware of the emotional isolation and lonesomeness that accompanies the disease. Only survivors, other patients, and their caregivers live the intimate struggles and battles of will that take place when fighting for your life. Hill has called the patient support forum the “heart and soul” of the foundation. Given the foundations many diverse activities; from sponsoring research to advocacy, those that populate the OCF forum, who choose to spend part of their new lives in service to those behind them on the path, he feels they are the palpable core of what OCF is. Few face-to-face support groups can deal with the daily needs of patient ups and downs, as they most often meet once a month, and have less depth of experience to draw from as there are fewer individuals to share their experiences, and fewer survivors attending as they move on from their cancer experience. The OCF forum idea, created well before Google was the major search engine we know today, and before any social media companies like Facebook even existed, has a decade and a half of experience as an Internet based platform to help others… as often as they find a need for it. Oral cancer is not fought with treatment staff and medicine alone, but in conjunction with reliable medical information to facilitate good decision making, and emotional support and guidance when the questions and weight of the experience seem overwhelming. OCF’s Patient Support Forum is a resource rich with answers, accessible anytime, from nearly anywhere, anonymous, monitored and safe, and free to anyone in need. For more information about the Oral Cancer Foundation and the Patient Support Forum, please visit oralcancer.org and oralcancersupport.org. The Oral Cancer Foundation, founded by oral cancer survivor Brian R. Hill, is an IRS registered non-profit 501(c)(3) public service charity that provides information, patient support, sponsorship of research, and advocacy related to oral cancer. Oral cancer is the largest group of those cancers that fall into the head and neck cancer category. 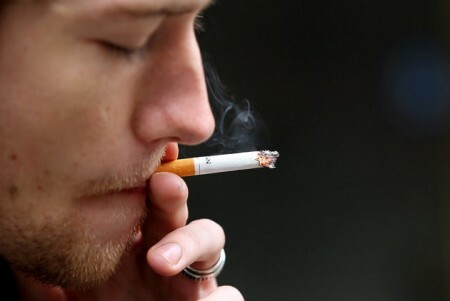 Common names for it include such things as mouth cancer, tongue cancer, head and neck cancer, and throat cancer. The Oral Cancer Foundation maintains the web sites: www.oralcancer.org, www.oralcancernews.org, www.donate.oralcancer.org, www.oralcancersupport.org and www.ocfstore.org, which receive millions of hits per month. Supporting the foundation’s goals is a scientific advisory board composed of leading cancer authorities from varied medical and dental specialties, and from prominent educational, treatment, and research institutions in the United States. The foundation also manages the Bruce Paltrow Oral Cancer Fund, a collaboration between the Paltrow family represented by Ms. Blythe Danner (Paltrow), Gwyneth Paltrow, Jake Paltrow and the Oral Cancer Foundation. From storied Fenway Park to youth baseball diamonds across the city, Boston Mayor Martin J. Walsh is calling for a ban on dip, snuff and chewing tobacco. The 48-year-old ESPN analyst acknowledged Walsh’s proposal will likely meet resistance from major league players, but he believes they will eventually come to accept it, just as they had when smoking was banned in ballparks years ago. Under their union contract, MLB players aren’t banned from using smokeless tobacco products, though they can’t use them during televised interviews and can’t carry them around when fans are in the ballparks. The Red Sox organization applauded Walsh’s proposal, which requires City Council approval. Walsh’s proposal would apply to everyone in a ballpark, including fans, players, ground crews and concession staff. If approved, Boston would become the second U.S. city, behind San Francisco, to ban chewing tobacco and related products from ballfields. That city’s ban takes effect Jan. 1. Los Angeles is also considering a ban that’s focused solely on baseball and does not impact other sports. 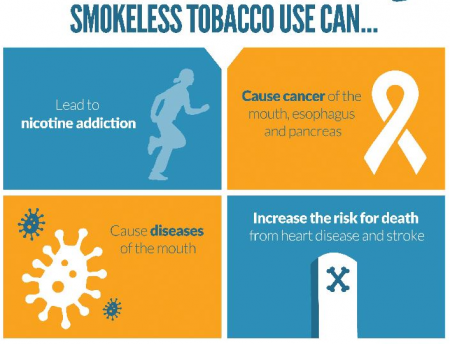 Public health officials Wednesday said major league players represent “powerful marketers” for smokeless tobacco products, whether they realize it or not. Curt Schilling, the former Red Sox pitcher and ESPN analyst, announced today during the WEEI/NESN Jimmy Fund Radio Telethon that he was diagnosed with squamous cell carcinoma — which is cancer in the mouth — in February. “This all came about from a dog bite,” Schilling said. “I got bitten by a dog and I had some damage to my finger and I went to see a doctor, and the day that I went to see the doctor, I was driving and I went to rub my neck and I felt a lump on the left side of my neck. And I knew immediately it wasn’t normal. So there happened to be an ENT [Ear, Nose, and Throat] right next door to the hand doctor, and I thought what the heck, let me just stop in and see and so I waited in the office and went in there and they did the biopsy, and two days later, they diagnosed me with squamous cell carcinoma. Dr. Robert Haddad, from the Dana-Farber Cancer Institute, described Schilling’s cancer. The 47-year-old Schilling — who weighed just over 200 pounds prior to his cancer diagnosis — lost 75 pounds during his treatment. Most of the weight loss was due to the fact that he was unable to swallow. He also has lost his ability to taste and smell. The former Red Sox righthander stressed the importance of getting in for treatment early. “One of the amazing things was early on when I was talking to [Dr. Haddad] about this, I literally went to see a doctor like five days after I felt the lump, he said the average time for a patient is 10 months,” Schilling said. “Ten months from the time they notice something to the time they say something. I can’t believe… people need to be more self-aware. “I didn’t talk about it for two reasons. No. 1, I didn’t want to get into the chewing tobacco debate, which I knew was going to come about, which to me, I’ll go to my grave believing that was why I got what I got… absolutely, no question in my mind about that. And the second thing was I didn’t want people to feel sorry for me. I didn’t want the pity or any of that stuff because early on… I ended up spending about six months in the hospital because I had a bad reaction. I had a staph infection. I had what’s called C. diff. I had a couple different problems and there was a week there, there’s a week of my life I don’t remember while I was in the hospital going through this. Dr. Haddad concurred that chewing tobacco leads to the mouth cancer Schilling was diagnosed with. Schilling spoke about the day he found out about Tony Gwynn’s death. Gwynn – a Hall of Famer — died of salivary gland cancer on June 16 at the age of 54. Gwynn blamed his mouth cancer on his habit of dipping smokeless tobacco during his 20-year career with the San Diego Padres. Schilling spoke about what lies ahead for him from hereon out. Dr. Haddad stressed that these types of cancers are treatable and that his sense of taste and smell should come back. Clay Buchholz and Dustin Pedroia, two Red Sox stars with young children, addressed their chewing habit at Fenway Park in June. “Cancer runs in my family,” said Buchholz, as he sat in front of his locker with a wad of smokeless tobacco wedged between his lower lip and gums. 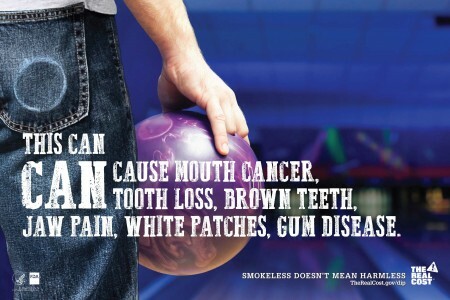 “There’s been people that have never smoked a cigarette or had a dip or chew and they’ve died of lung cancer. I’m trying to stop,” said Pedroia. “It’s not a good habit. It’s one of those things, you try like heck. I wish I had never started. “Everyone crushes me about it. You don’t want any kid to start doing it. Obviously, it’s addicting. It’s not good for you and can cause a lot of problems. The 2011 labor agreement between the players’ union and Major League Baseball included certain limits on the use of smokeless tobacco, but did not ban its use entirely. Players are not allowed to carry tobacco packages in their uniform pockets, and tobacco use during televised interviews and non-game functions is prohibited. 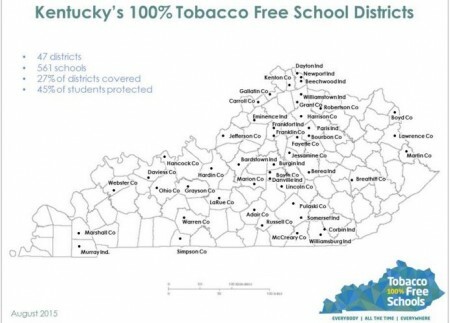 Also, teams cannot provide tobacco for players. In June, nine major medical and public health organizations have written to MLB and the players’ union urging them to agree to a complete prohibition on tobacco use at ballparks and on camera. In April, Schilling’s wife Shonda, herself a melanoma survivor, tweeted that Schilling had finished radiation. On Facebook that month, Schilling wrote, To the many, many amazing folks at Dana Farber, [Brigham and Women’s Hospital] and [Massachusetts General Hospital], thank you and to the amazing team these last 5 months. I’ve been told my cancer is in remission, start the 5-year clock. In May, a weakened Schilling took the field at Fenway as part of the 10th anniversary celebration of the 2004 championship team. Schilling was aided onto the field by his son Gehrig and said he was back in the hospital two days later. 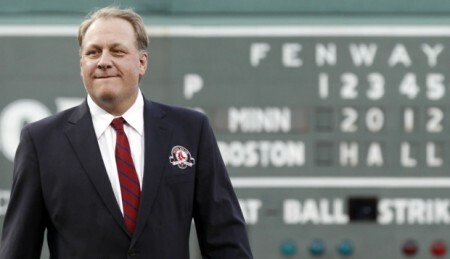 Schilling, who spent four seasons of his 20-year major league career with the Red Sox and was instrumental in their World Series victories in 2004 and ’07, joined ESPN as a studio analyst for ESPN’s “Baseball Tonight” in 2010. In December, he was chosen to replace Orel Hershiser for the high-profile role as a color analyst on ESPN’s “Sunday Night Baseball” broadcasts alongside Dan Shulman and John Kruk. Schilling pitched for five teams during his major league career, winning 216 games and compiling 3,116 strikeouts. He made six All-Star teams, won at least 21 games in a season three times — including in 2004 with the Red Sox. He won his first of three World Series titles with the 2001 Diamondbacks. Schilling had found his niche as an analyst after enduring some difficult times in recent years. A video game business suffered a prominent and costly failure in Rhode Island, one that cost the state tens of millions of dollars and Schilling the bulk of his baseball fortune. He revealed to the Globe’s Stan Grossfeld in an August 2013 story that he suffered a heart attack in November 2011 that required surgery to implant a stent in an artery. SAN DIEGO – One of Tony Gwynn’s last acts was issuing a simple message about the habit he blamed for his cancer. About two and half months ago, Gwynn received a request from the Professional Baseball Athletic Trainers Society – known as PBATS – to do a taped interview on the dangers of spit tobacco to be shown to players. “It came back that Tony was entirely sick to do that,” said Neil Romano, adviser to the PBATS. Romano says Gwynn’s agent then called, saying Gwynn felt bad for not taking part. Gwynn blamed his decades-long use of chew tobacco for his mouth cancer. On May 28, less than three weeks before Gwynn’s death, the group got final confirmation through his agent that they could use an emailed statement. “The fact that this was one of his last acts goes to his class, his character as a person, and frankly, his love for the game and the players,” said Romano. When Gwynn was first diagnosed, Major League Baseball banned players from putting tins in pockets and using during interviews, but usage during games is still allowed. Mark Grudzielanek retired in 2010 after a 15-year career. He never used but said when he started, it was readily available through clubhouse staff. “Whatever we needed, they went and got it,” said Grudzielanek. Romano says more than a decade ago, MLB started cracking down on that practice. Chew was also banned in the minors. About a third of major league players still dip. Critics say that is a prime reason why a federal study found that 20 percent of high school boys chew. Grudzielanek hopes Gwynn’s final message will make a difference. The five-minute film, which also commemorates Gwynn, was completed on June 13. A few days ago, Gwynn protégé and pitcher Stephen Strasburg said he is quitting chew for his daughter. In recent days, some have called for a spit tobacco ban to be looked at with a new MLB player labor agreement in 2016.